My whole life I have always loved being in shape, making new goals & challenging myself to do things I never thought I would be able to. One of my goals for 2018 was to run a half marathon. Now for those of you who don't know me, I hurt my back playing college volleyball and will have problems for the rest of my life, which I have accepted and am grateful that this is my biggest problem as I know many others are suffering much, much worse. However, due to this back issue, it has spread to my hips/knees/etc, you get the point. Because of this, I have had to stay very in-tune with my body and not push myself too hard, but for some reason, I am determined to run a half marathon! Maybe I want to so badly because it's the "forbidden fruit" or "you always want what you can't have", who knows, but I have set this goal and I am not going to give up on it! I have purchased a training guide that comes with meal plans (to make sure you're eating enough/the right things) as well as a guide to keep your body healthy and injury free! Along with this, I was determined to set out and find the best running socks that keep your feet dry, cool, and blister free. Ask and you shall receive, they say, & that is exactly what happened. Enter: Balega. These cute, bright socks will be the only socks you ever buy for yourself or that special someone. 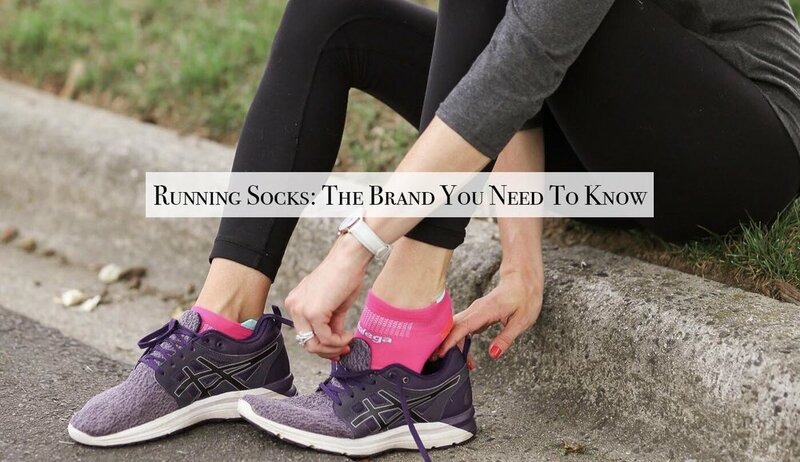 My mom used to buy my socks at costco because you could get a pack of 6 pairs for maybe $20, however, they quickly lost their elasticity or would slip off my heel mid-run. The "Balega Socks Difference", as they call it, truly does make a difference in your run. These perfectly designed contoured fit seamless socks help to keep the blisters away. With up to 30% more stitches in each pair you get a deep heal pocket that ensures no slipping off the back. With moisture being one of the other main causes of blisters, the ventilation panels designed for these socks helps to keep your feet dry! After trying out a couple of different brands, I kept coming back to the Balega's. Whether it is for long runs training for the half marathon or heading to my next kickboxing class, I now have about 8 pair of these socks and they are the only ones I will wear! I'm linking my favorites below, but you can also click HERE to learn more about these socks! I will be doing a post coming soon about shoes to keep your feet and legs strong/happy throughout the training process, so stay tuned!